Who but Patrick Stewart could be at the center of (and actually pull off) such wildly different universes as Marvel, Star Trek, and now network drama? The 75-year-old acting heavyweight is now the protagonist in Starz’ new comedy, Blunt Talk. Stewart stars as Walter Blunt, a charming yet haphazard British newscaster who relocates to Los Angeles to dominate the American nightly cable news scene. The show is run by Bored to Death creator Jonathan Ames and produced by Seth McFarlane, so, really, what’s not to love? Therefore, the most pressing question is — where can you stream Blunt Talk online? Entertainment on a whole is starting to veer further and further away from televised programming on the television — just check out the list of the Golden Globes nominations for TV, it's full of streaming services like Netflix, Amazon, and more. 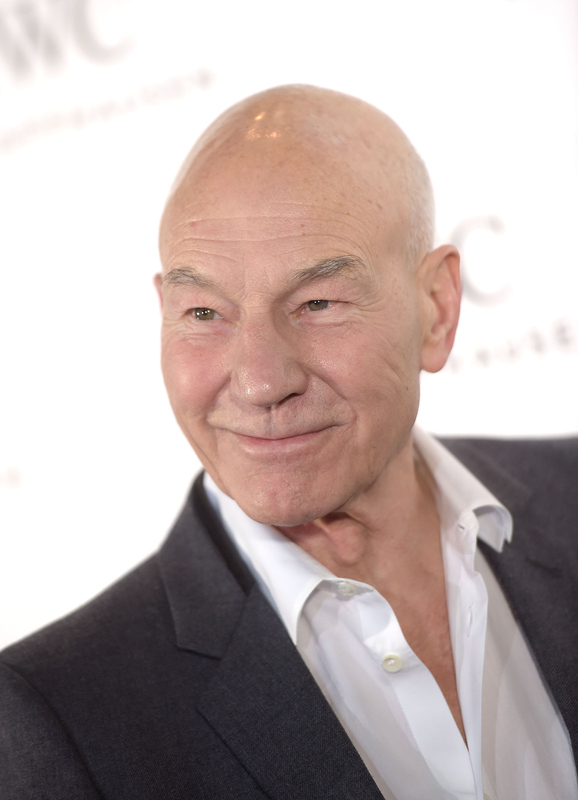 Speaking of Golden Globes nominees, Sir Patrick Stewart happens to be one of them for his time in Blunt Talk. Not that he's the only talented one in the bunch — the show also stars Jacki Weaver (Silver Linings Playbook), Adrian Scarborough, Richard Lewis (Curb Your Enthusiasm), and Romany Malco (Weeds). If that doesn’t pique your curiosity about Blunt Talk even further, I don’t know what will. So, although you could check out Blunt Talk on the talking picture box, there are more modern ways of going about viewing the illustrious Patrick Stewart as a bad boy. If you're one of the renegades who's still paying for a full-blown cable subscription, you're amazing, let's be best friends, and I'll bring the pinot if you let me sit on your couch and watch Blunt Talk. Though you may not be watching it on the big screen, you can use your subscription cable login to watch on Starz.com. Hold up, you're telling me I don't even have to pay for this? This nifty little tab on Starz.com is labelled "free episodes" (my favorite word in the English language), and it allows you to watch the first episode of Blunt Talk totally gratis! So, you totes should! All the cool kids are doing it. ...which, IDK if you do, but if you want to keep Blunt Talk forever and ever amen, Wi-Fi or no, you have the option of owning it in several different ways. First, there's the old standby of iTunes, where you can own the entire season in SD for $16.99, or HD for $19.99. Google Play hits you with a soft $18.99. Next, there is the decidedly cheaper but Wi-Fi contingent Amazon video, VuDu, or Microsoft Video, where you can own the whole season for SD for $9.99 Or HD for $9.99. Whichever way you watch, be sure you do!